Türkiye Kent Kır Toplam Erkek Kadın 1955 -- 95.3 72 1988 57.5 81.2 34.3 48.3 78.1 17.7 67.0 84.7 50.7 1996 54.1 77.6 31.0 44.5 73.3 15.8 83.5 51.1 2000 49.9 73.7 26.6 44.1 70.9 17.2 58.7 77.9 40.2 2001 49.8 72.9 27.1 44.0 70.6 17.4 76.4 41.7 2002 49.6 71.6 27.9 44.4 69.8 19.1 57.6 74.5 41.4 2003 70.4 43.8 68.9 18.5 55.5 39.0 2004 48.7 72.3 25.4 70.8 18.3 55.4 74.7 36.7 2005 72.2 24.8 45.5 71.5 19.3 53.1 73.5 33.7 Kaynak: TÜİK, HHİA; 1988 ve 1996 yılı verileri Ekim aylarına ait. 5 Türkiye’de Kadın İstihdamı neden bu kadar düşük? Yanıt Kırdan kente göç Soru? Kırdan kente göç eden erkek kendini kentsel işgücüne entegre edebilirken, kadın neden entegre edemiyor? Yanıt 2 Kadınların düşük eğitim seviyesi Dünya bankası Raporu, 1994 Türkiye’de Kadının Sosyal, Ekonomik ve Siyasi Yaşamdaki Rolü üzerine Avrupa Parlementosu Kararı, 2005 and 2006 Türkiye İşveren Sendikaları Raporu, 2006 Migration from rural to urban: U-shaped pattern of female LFP through the course of industrialization BUT Puzzling situation of Turkey: despite steady growth and export-orientation since the early 1980s, feminization of the labor force has not occurred. If we take the U-shaped pattern as the main account for low female LFP, the policy implication is that the situation should be self-remedying, i.e. no need for policy intervention except for growth promotion Low education levels of women ??? A common argument resonating throughout public documents as well as employer released reports. Employers favor blaming not only female low levels of LFP but also high unemployment on “lack of education” and call for the state to take incentive to invest in worker training and education. Recently the government has approved a significant portion of unemployment insurance funds to be spent on worker training and employer subsidies towards worler training. 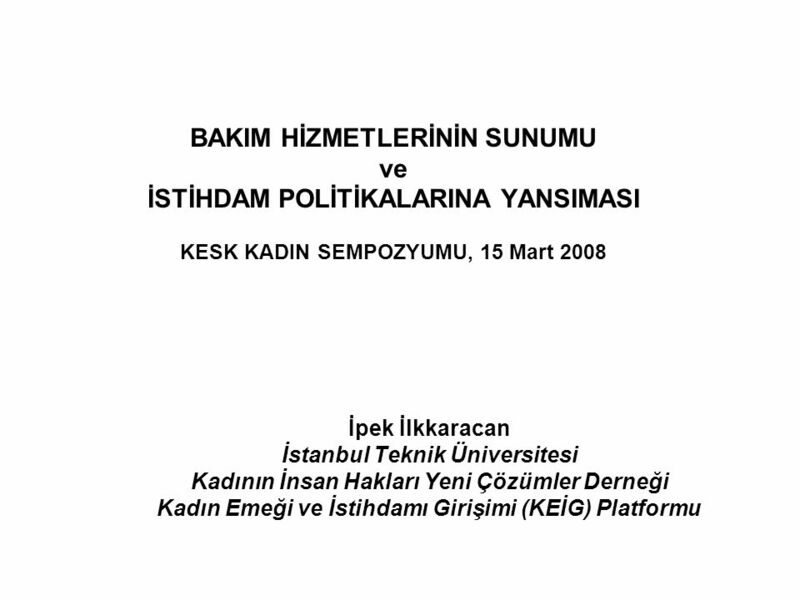 But also the existing economics research – which are only few in number – use HHLFS data and apply regression analysis where they find a very high and statistically significant coefficient on university level education dummy and conclude that “ipromoting higher education is of primary importance for increasing female LFP.” Dayioglu and Kasnakoglu (1997) come up with the finding that the education level of women is the most effective factor on determining their LFP. Although they also report a weaker relationship between male participation rates and male education levels. They also analyze that women’s having non-wage income and having household income other than individual income have negative effects on LFP of women. They interpret this result as the perception of women that they fulfill their economic responsibility of increasing the household income by contributing their non-wage income. Tunali (1997) similarly finds that higher education levels increase labor force participation probabilities of women. 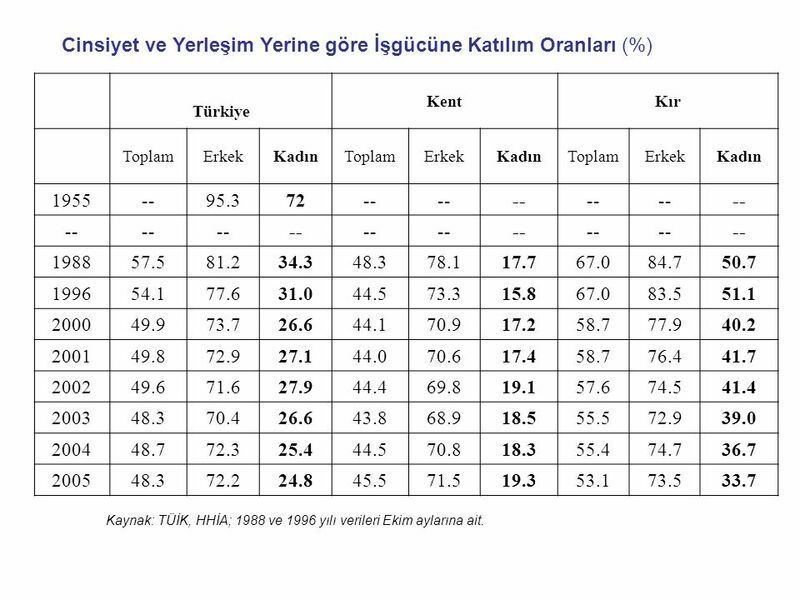 Dayioglu (2000) draws the conclusion (from 1987 and 1994 Household Income and Consumption Expenditures Surveys) that LFP of women increases with education except for the lower education levels. She also evaluates that being married and having a higher number of children reduce the LFP of women significantly. Nevertheless the only policy emphasis is on promoting women’s participation in education. Tansel (2002) investigates the determinants of female LFP rates with pooled data from three years (1980, 1985, and 1990) for 67 provinces, using OLS estimation. She tries to show that the U-shape hypothesis is valid and furthermore she finds a positive effect of rate of economic growth and level of education on female LFP while a negative impact of unemployment on female LFP is observed. Ince and Demir (2006) find a negative estimate for unemployment and a positive estimate for the growth rate of GDP, fertility rate and university graduation for the years Lower education levels and financial crises are found to have no significant effect. Türkiye Erkek Kadın Okur yazar değil İlköğretim Lise ve dengi Üniversite 1988 63.3 79.1 76.6 87.4 8.5 13.9 45.7 80.3 1995 51.0 74.9 72.1 87.7 7.4 10.7 35.6 73.7 2000 44.7 71.3 68.6 82.1 5.1 13.5 30.6 69.6 2005 39.6 70.2 72.4 84.2 6.3 12.9 29.9 69.9 farkı -23.7 -8.9 -4.2 -3.2 -2.2 -1.0 -15.8 -10.4 Kaynak: TÜİK, HHİA; 1988 ve 1996 yılı verileri Ekim aylarına ait. 7 Türkiye’de Kadın İstihdamı neden bu kadar düşük? 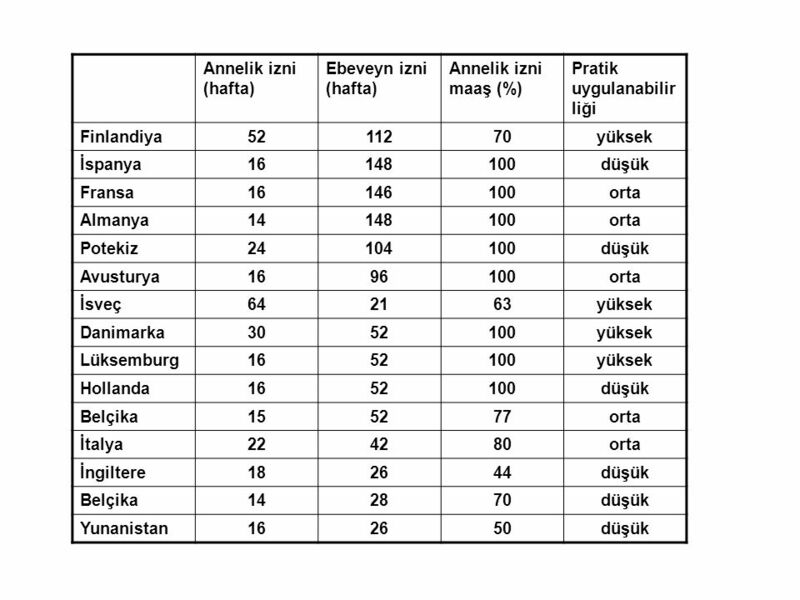 Yanıt 2: Kadınların düşük eğitim seviyesi Soru: Düşük eğitim neden erkekler için işgücüne katılımda sadece kısmen rol oynarken, kadınların işgücüne katılımı önünde neden bu kadar önemli bir engel haline geliyor? 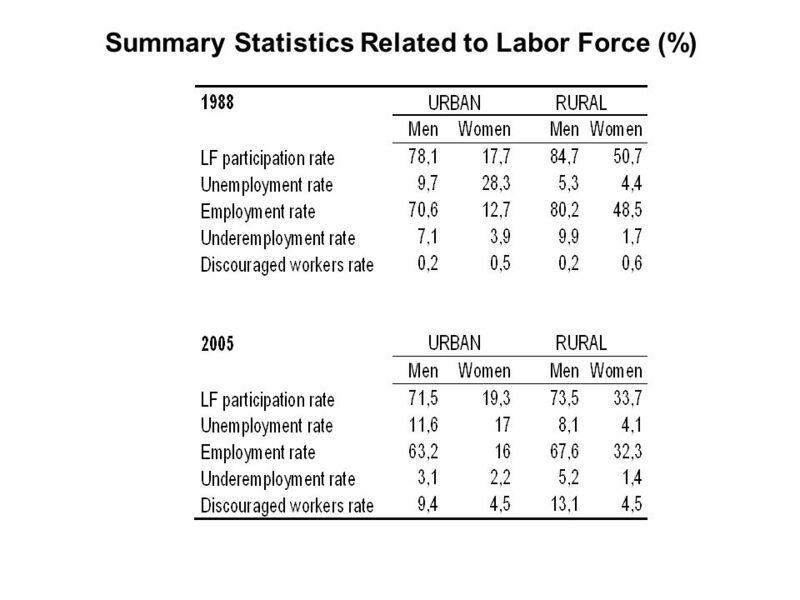 Migration from rural to urban: U-shaped pattern of female LFP through the course of industrialization BUT Puzzling situation of Turkey: despite steady growth and export-orientation since the early 1980s, feminization of the labor force has not occurred. If we take the U-shaped pattern as the main account for low female LFP, the policy implication is that the situation should be self-remedying, i.e. no need for policy intervention except for growth promotion Low education levels of women ??? A common argument resonating throughout public documents as well as employer released reports. Employers favor blaming not only female low levels of LFP but also high unemployment on “lack of education” and call for the state to take incentive to invest in worker training and education. Recently the government has approved a significant portion of unemployment insurance funds to be spent on worker training and employer subsidies towards worler training. 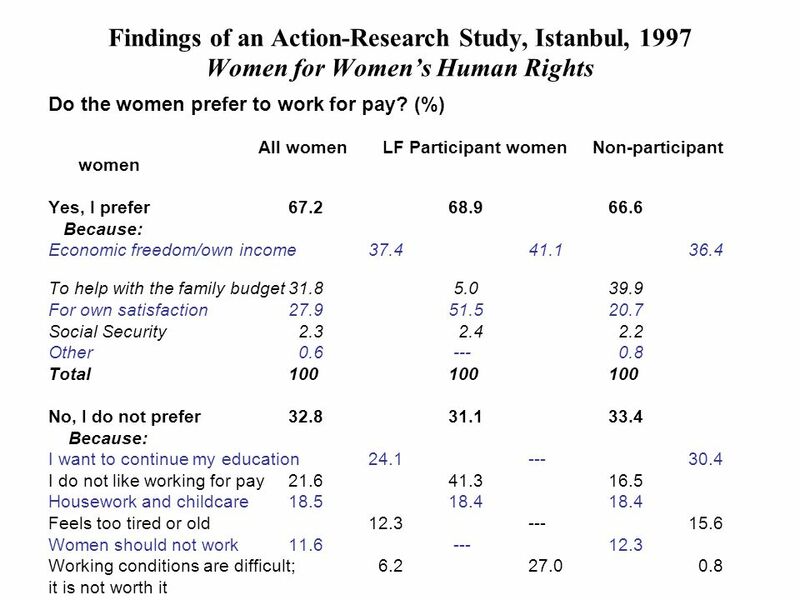 But also the existing economics research – which are only few in number – use HHLFS data and apply regression analysis where they find a very high and statistically significant coefficient on university level education dummy and conclude that “ipromoting higher education is of primary importance for increasing female LFP.” Dayioglu and Kasnakoglu (1997) come up with the finding that the education level of women is the most effective factor on determining their LFP. Although they also report a weaker relationship between male participation rates and male education levels. They also analyze that women’s having non-wage income and having household income other than individual income have negative effects on LFP of women. They interpret this result as the perception of women that they fulfill their economic responsibility of increasing the household income by contributing their non-wage income. Tunali (1997) similarly finds that higher education levels increase labor force participation probabilities of women. 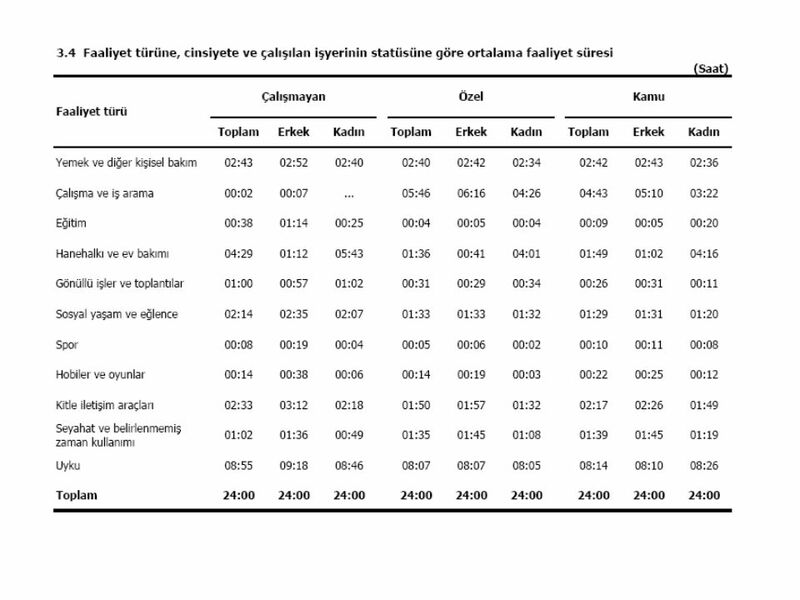 Dayioglu (2000) draws the conclusion (from 1987 and 1994 Household Income and Consumption Expenditures Surveys) that LFP of women increases with education except for the lower education levels. She also evaluates that being married and having a higher number of children reduce the LFP of women significantly. Nevertheless the only policy emphasis is on promoting women’s participation in education. Tansel (2002) investigates the determinants of female LFP rates with pooled data from three years (1980, 1985, and 1990) for 67 provinces, using OLS estimation. She tries to show that the U-shape hypothesis is valid and furthermore she finds a positive effect of rate of economic growth and level of education on female LFP while a negative impact of unemployment on female LFP is observed. Ince and Demir (2006) find a negative estimate for unemployment and a positive estimate for the growth rate of GDP, fertility rate and university graduation for the years Lower education levels and financial crises are found to have no significant effect. 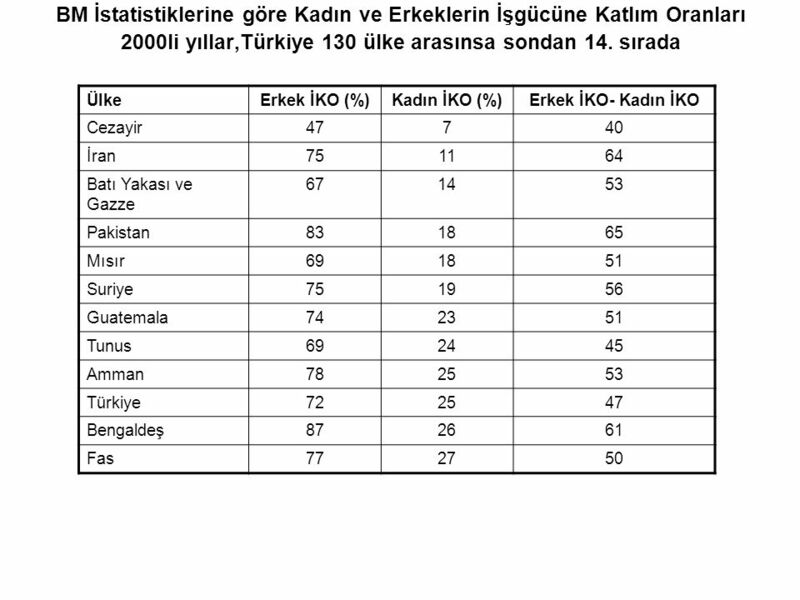 İşgücüne dahil olmayanların yıllar ve cinsiyete göre işgücüne dahil olmama nedenleri, Türkiye 15 + (%) Neden işgücüne dahil değil? İşgücünde olmayanlar İş aramıyor ama çalışmaya hazır Mevsimlik İşçiler Ev işleri ile meşgul Öğrenci Emekli Çalışamaz halde Diğer E K 1988 100 5.7 3.5 0.3 0.0 - 83.0 35.4 6.0 36.8 2.3 11.0 2.9 10.7 1996 2.6 1.0 0.4 80.5 37.0 7.5 40.2 2.5 9.7 4.9 10.0 3.2 2005 9.3 4.5 0.5 0.7 70.2 31.4 8.4 38.9 11.8 6.7 8.0 Kaynak: TÜİK, HHİA; 1988 ve 1996 yılı verileri Ekim aylarına ait. 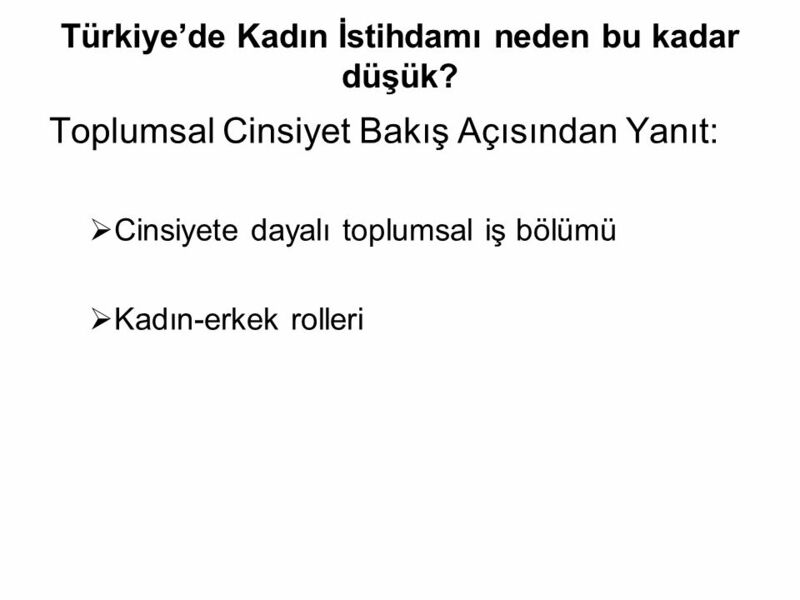 11 Türkiye’de Kadın İstihdamı neden bu kadar düşük? Do the women prefer to work for pay? (%) All women LF Participant women Non-participant women Yes, I prefer Because: Economic freedom/own income To help with the family budget For own satisfaction Social Security Other Total No, I do not prefer I want to continue my education I do not like working for pay Housework and childcare Feels too tired or old Women should not work Working conditions are difficult; it is not worth it Other Total The question was open ended; the categories of responses were formulated based on correspondents’ own reports. While the research found a female LFP rate of 24%; as high as 67.2% of correspondents said that they preferred to participate; 66.6% of of non-participants said they would rather work for pay. Yet as high as 31.1% of participant women said they would rather not work for pay. 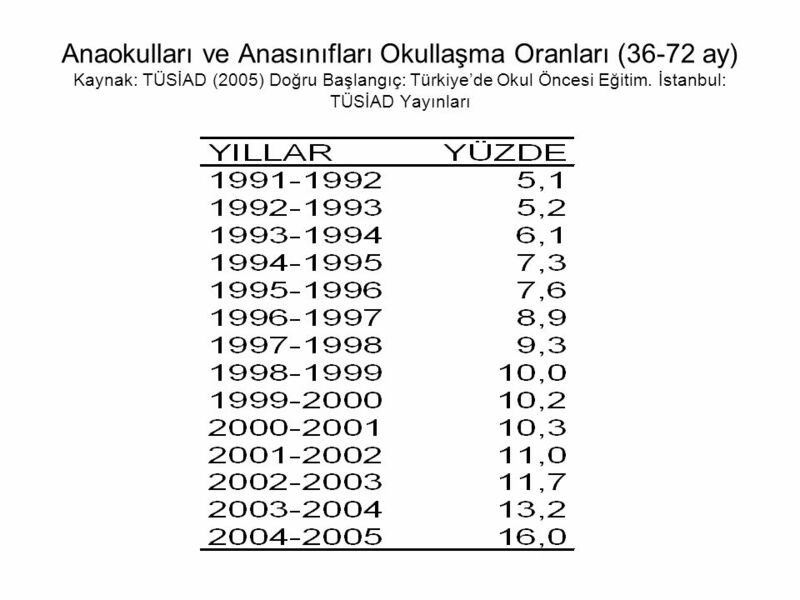 Yılİşgücüne Katılma Oranıİşsizlik Oranıİstihdam Oranı 1988 % 57,5 % 8,4 % 52, % 52,8 % 6,8 % % 46,2 % 10,3 % 41, % 45,8 % 15,5 % 38,7. 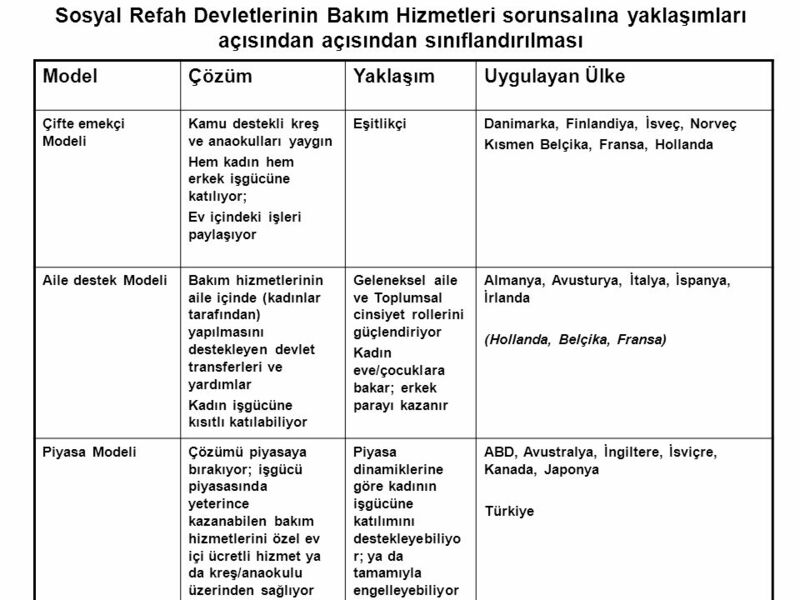 AVRUPA BİRLİĞİ EĞİTİM VE GENÇLİK PROGRAMLARI MERKEZİ BAŞKANLIĞI Hayatboyu Öğrenme Leonardo da Vinci (Mesleki Eğitim) Programı.